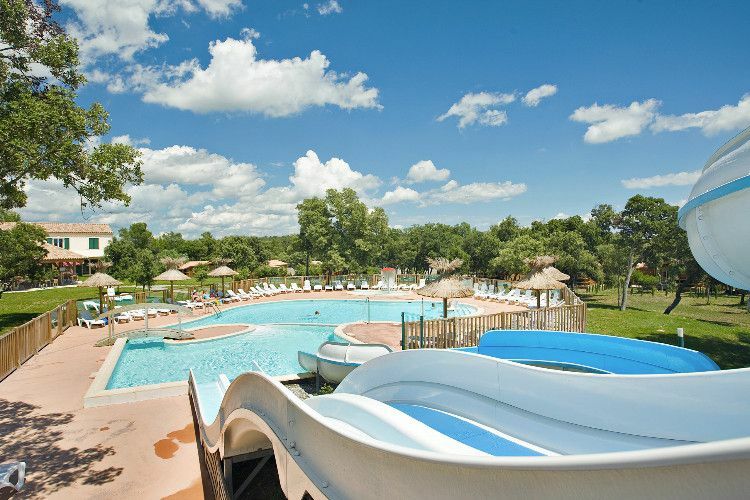 For your next family holidays in the south of France, come to the area of the Gard to the Domaine de Massereau holiday park. This 5-star campsite is the perfect destination for discovering the French Riviera with the towns of Nîmes and La Grande Motte just 20km away. Ideally located, this holiday park can be found midway between the Mediterranean Sea, the mountains in Cévennes and the natural wildlife in Camargue. Nestled between some of the most famous vineyards of the South of France, this little corner of paradise promises a totally relaxing holiday. At the Domaine de Massereau, make the most of the on-site activities such as the waterpark, the spa area and the adventure park. You can even hop on your bike and follow the nearby cycle routes. Try new things and go for a pony ride or even go vine tasting. Don’t miss out on the opportunity to go hiking, rock-climbing or hiring a kayak. For all you sporty ones, have a game of tennis whilst your little ones play either at the playground or at the kids club. There is many things to visit in the area of the Gard. In the region of Sommières, discover the Junas quarries, a magical place that comes to life in the summer with various shows. The arichtecture of the "Opidum des Castels" in Nages is well worth the detour as well as the impressive collection of wooden forks in the town of Sauve. At the foot of the Cévennes, just 30 km away from the campsite, hop of a steam train and stop-off at Anduze to enjoy a unique forest of bamboos. The Cévennes is the ideal place for long hikes surrounded by the singging of the cicadas. 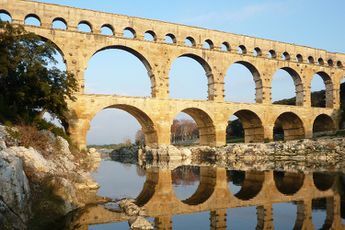 Just a few kilometeres from the site, don't miss the wold famous "Pont du Gard". 400m from the monument, an area dedicated to honoring the ingenuity of all thoses who built this 50km long aqueduct can also be found. 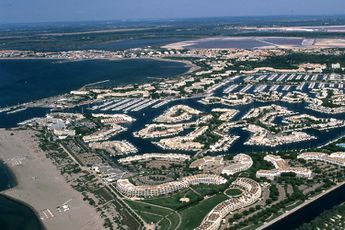 Make the most of your stay and disover the area or Camargue. 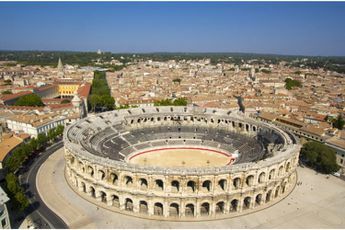 Also visit the Nîmes vineyards or the renovated arenas where echos of Roman life can still be heard. You can even stop-off and try some local specialities such as cod. 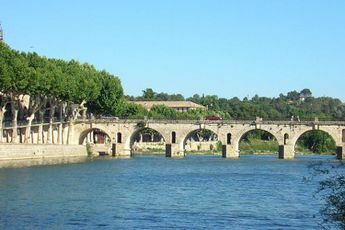 In the nearby regions, visit the Avignon festival and discover the town of Arlès or the Millau viaduct.